US President Donald Trump caused huge offence when he refused to immediately condemn the violence of white supremacists and neo-nazis - one of whom killed an anti-racist campaigner - at a Unite the Right rally in the southern American city of Charlottesville. 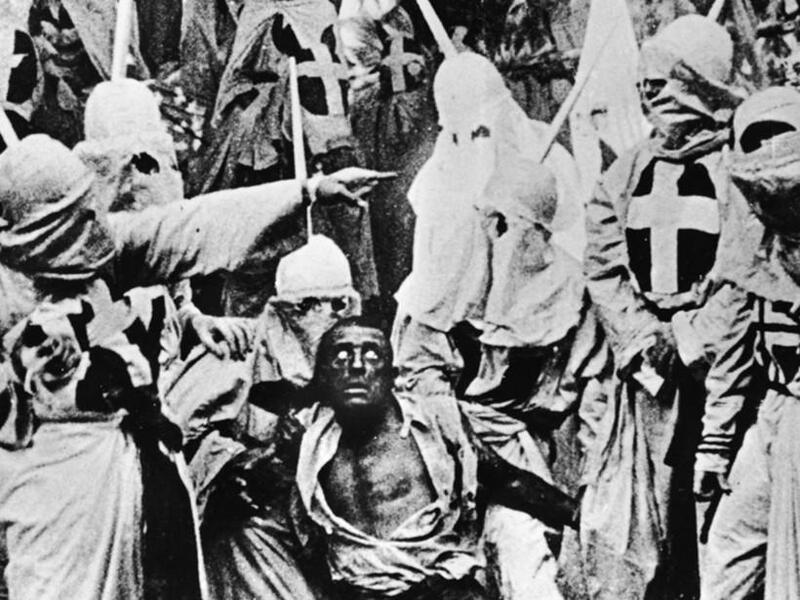 The-Latest's US correspondent Karen Hatter explains the nightmarish historical background. Collectively speaking, there is a growing body of evidence that supports the supposition that when confronted by circumstances and realities that require serious, meaningful discussion and introspection to formulate solutions, the majority of Americans opt for the baby steps approach to addressing this nation’s defects. 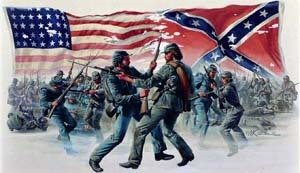 For more than a century, a form of placation and misrepresentation of the history of the secession of southern states in the United States of America has allowed the myth of the Confederate States of America, with secession of the southern states beginning in 1860, to warp into hero worship of traitors to the union of the United States of America. 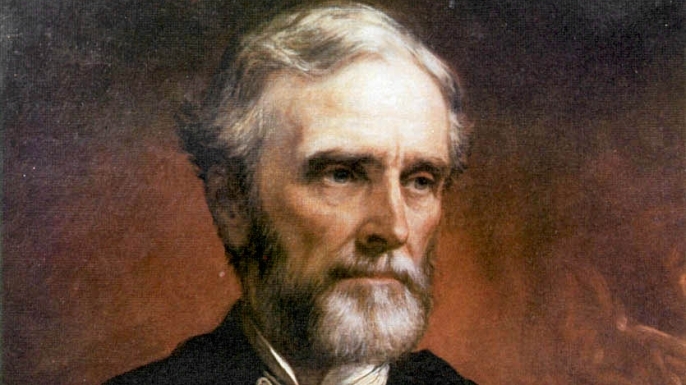 One will be hard pressed to find examples of traitors to a nation honoured in this manner in the way the declared president of the Confederacy Jefferson Davis, and those military figures charged with leading the insurrection of eleven southern states into war and into battle against United States, are revered in segments of the population in the United States. 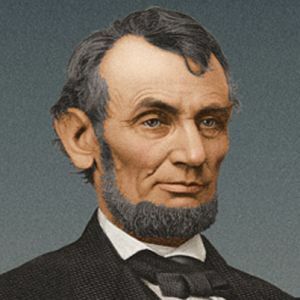 Concessions were made by then President Abraham Lincoln at the end of the Civil War in 1865 that blunted and limited punishment and retribution to those states that engaged in armed revolt, it is said, in an effort to preserve the fragile character of the reunification of the union. What is overlooked by many southerners and those that seek to glorify the secessionists and sing their praise in soaring oratory, as the debate rages over Confederate statues and monuments, is the reality that the erection of these tributes were done at a time when southern states and those in political power were emboldened to showcase their power over African Americans as they enforced racial segregation and Black code laws meant to show African Americans what was already known, which was: "We control this." The discussion regarding Confederate statues and monuments is a discussion seeking a solution that is long overdue but, this represents an attempt to leap frog over one of the most stunning events in the history of this nation, arguably since the Civil War era and since President Woodrow Wilson invited the Ku Klux Klan into the nation’s capitol in 1915, into the very White House, to view D.W. Griffith’s racist film, The Birth of a Nation, a documentary that glorified the Ku Klux Klan as saviours of the white race. A Unite the Right rally inviting neo-Nazis, neo-Confederates, Ku Klux Klansmen, white supremacists and white nationalists to converge in Charlottesville, Virginia, billed on one poster for the event as “ … a pivotal moment for the pro-white movement in America”, was scheduled to be held on Saturday, August 12. The cover story and pretense for attendance at the rally has been said to be concern for the removal of the statue of confederate General Robert E. Lee on a nearby university campus, a concern not listed on any posters available for view announcing the event. The ultimately cancelled rally was proceeded by a torch lit march through the campus of the University of Virginia the previous evening on Friday, August 11, with mostly young white men present shouting “You will not replace us”, “Jews will not replace us!”, the Nazi era slogan “Blood and soil!”, and other calls to arms usually not tolerated by the majority in this nation. These actions prevented peaceful congregants observing interfaith worship in a church on campus from exiting due to concern for their safety. 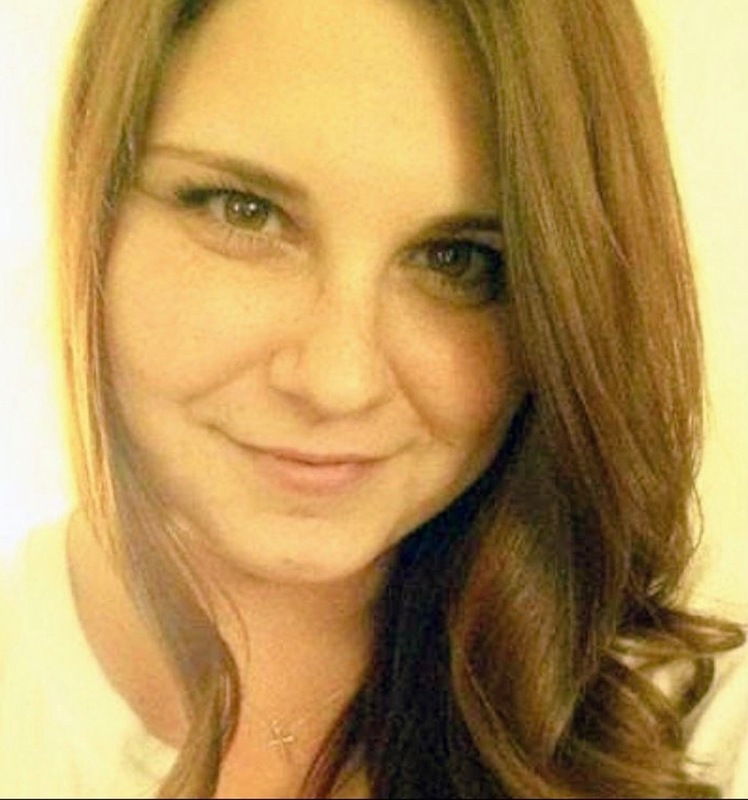 In the aftermath of the ultimately cancelled "Unite the Right" rally on the afternoon of August 12, the senseless killing of Heather Heyer, who was run over by someone who had attended the Unite the Right event, and wounding of others occurred. 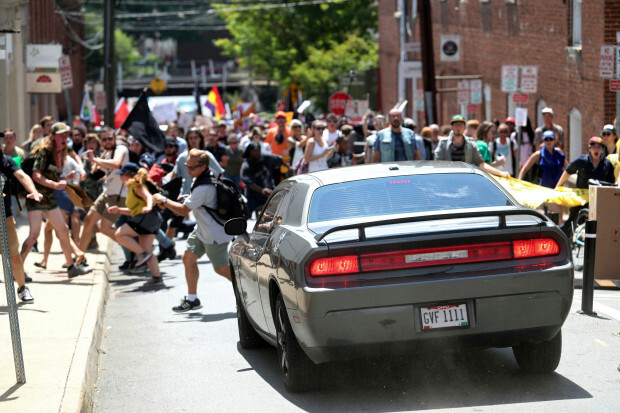 The young man allegedly rammed a car into a crowd of protestors opposed to the racist beliefs uttered by the Unite the Right participants. 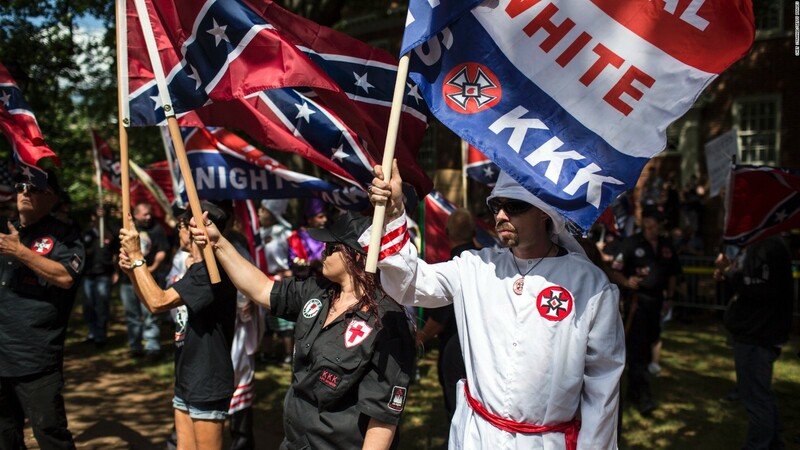 The previous evening, the alleged attacker was among the throng at the torch lit march in support of the ideas and ideology of the assembled Ku Klux Klan, neo-Confederates, neo-Nazis, white supremacists and white nationalists. 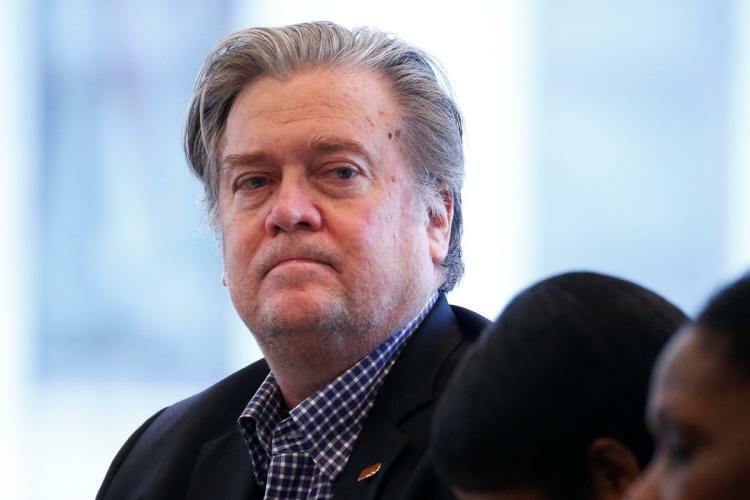 Former White House Chief Strategist Stephen Bannon, head of the right-wing Breitbart News Trump cheerleaders, had proclaimed his infamous website to be a platform for the so-called alt-right, a phrase that had been adopted by white nationalist leader Richard Spencer in 2010 to attempt to rebrand white nationalism. During his tenure as chief White House strategist, Bannon was portrayed as Donald Trump’s puppet master, the one manipulating the president toward his controversial nationalist views. Bannon's role, as it has now been revealed, was misrepresented. To those of us paying attention, it’s been obvious they are kindred spirits. At the alleged impromptu news conference on Tuesday, August 15, I state alleged since it appears Donald John Trump was prepared to re-address his much-criticised first remarks made on August 12, the president pulled out a printed copy of his remarks from his suit jacket, remarks when he previously articulated the false equivalence of “many sides” having culpability for the tragic events that occurred, that ended in death and injuries to those demonstrating in opposition to the Ku Klux Klan, neo Nazis, neo-Confederates, white supremacists and white nationalists. The 45th President of the United States, Donald John Trump, espoused and expanded on his beliefs regarding those assembled for the white nationalist rally in Charlottesville on August 12. 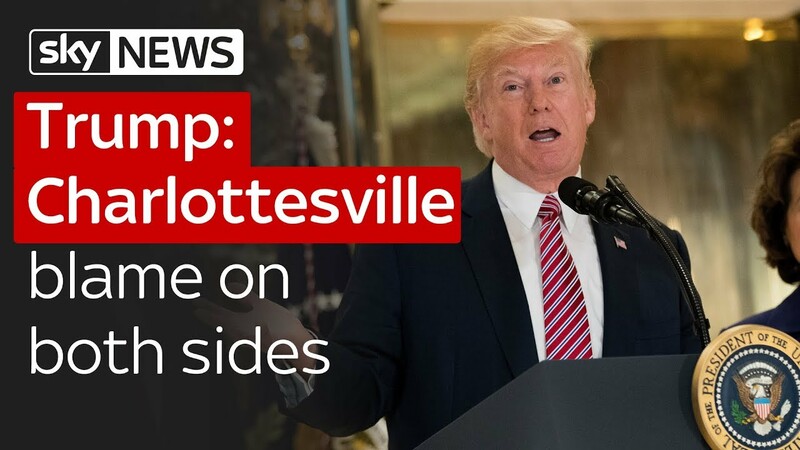 He stated there had been “fine people” on “both sides”, including those gathered members of the Ku Klux Klan, neo-Nazis, neo-Confederates, white supremacists and white nationalists. 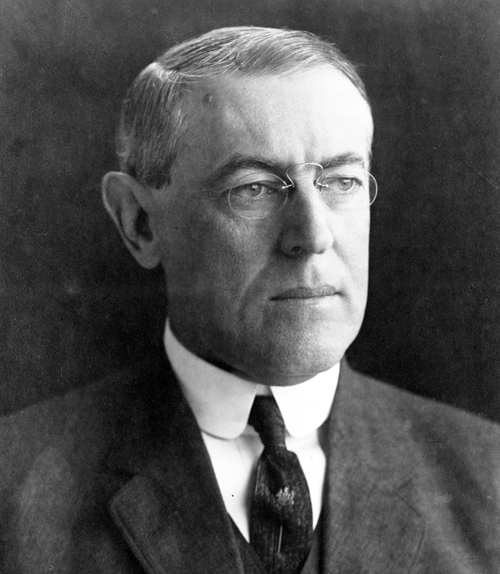 There has not been in more than 100 years, not since Woodrow Wilson in 1915, a sitting American president that has publicly and openly embraced and given succour to white supremacy and its odious, hate-filled pronouncements. This amplified the increasingly dangerous reality about Trump's support base. It is a true problem seeking a solution that must be addressed. It starkly exposed the fact Ku Klux Klan, neo-Nazis, neo-Confederates, white supremacists and white nationalists gleefully cheer on the President of the United States, as many in this country choose to pretend there is misperception by the white nationalist movement that there is presidential support for them. To the contrary, all one need do is listen to and observe the actions of Trump to know otherwise.